The Business Courier recognized the winners of the fifth annual Innovation and Technology Awards ceremony held on Tuesday, April 28 at the historic Memorial Hall in downtown Cincinnati. The awards honor businesses and individuals that have helped fuel the region’s economy through new ideas and approaches. 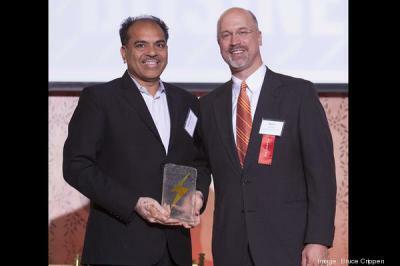 This year, Vora Ventures was honored to receive the “2015 Tech Company of the Year” award.